A “Class of 1963” Leo Gaudreault was a member all three Reds Fontaine Cup championship teams in the Canadian-American League years. 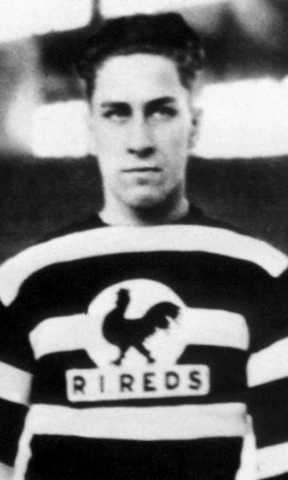 In Gaudreault’s eight seasons as a forward with Providence from 1928 to 1936, he racked up 223 points, with 95 goals and 235 PIM in 307 games. Property of the Montreal Canadiens, Gaudreault spent three productive years in the NHL from 1927 to 1933. Over that time, he tallied 12 points and 8 goals throughout a total of 67 games. With a 128 assists, the talented Gaudreault became the all-time leader in assists in the Central Alberta Hockey league (CAHL).